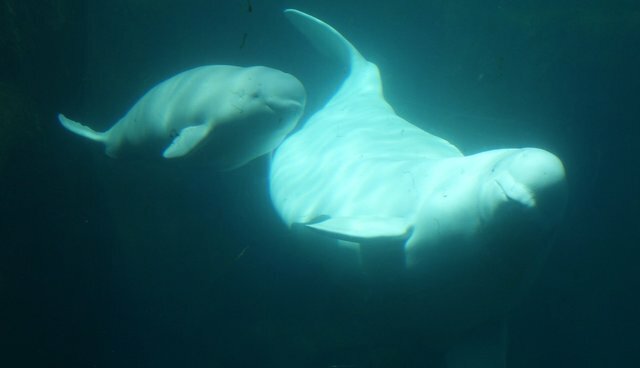 In a landmark decision, the Vancouver Park Board last night voted unanimously to prohibit the the breeding of whales and dolphins in captivity at the Vancouver Aquarium in nearly all cases. The move comes after months of public debate spurred in large part by the 2013 documentary "Blackfish". The board, which oversees the Vancouver Aquarium, approved amending of a current bylaw "to prohibit the breeding of captive cetaceans in Vancouver parks, unless, in each particular instance, the captive cetacean is a threatened species and the Oversight Committee, the Board, and the Society [Vancouver Aquarium] agree that captive breeding is necessary for the survival of such threatened species". While the decision comes as welcome news for animal advocates, it falls short of total victory; instead of requiring cetaceans currently held at the facility to be relocated, as many had urged, the aquarium will be allowed to keep them -- effectively permitting captivity only for the duration of their lifetimes. Aaron Jaspers, a chair with the park board, told the CBC that while cetacean captivity will continue to be permitted, allowing for the producing offspring to replenish them was no longer appropriate. "Every time we came back to the breeding program, we just felt that's a program that might serve other purposes, but we were not convinced that it served the purpose of conservation, rescue rehabilitation or research," says Jaspers. "So that's where we drew the line in the sand." This decision marks an important step forward, though will likely do little to quiet calls for the aquarium to end the keeping of dolphins and whales in captivity without delay. An online petition outlining that message has already reached more than 17,000 signatures. Several park board members have also come out publicly in agreement with this more forceful approach, including vice-chair Constance Barnes, who's made perhaps the strongest statements against keeping cetacean confined. "One hundred years ago we thought slavery was okay too," says Barnes. "It's time to phase out whales and dolphins in captivity."